Car bumpers are so prone to being damaged. 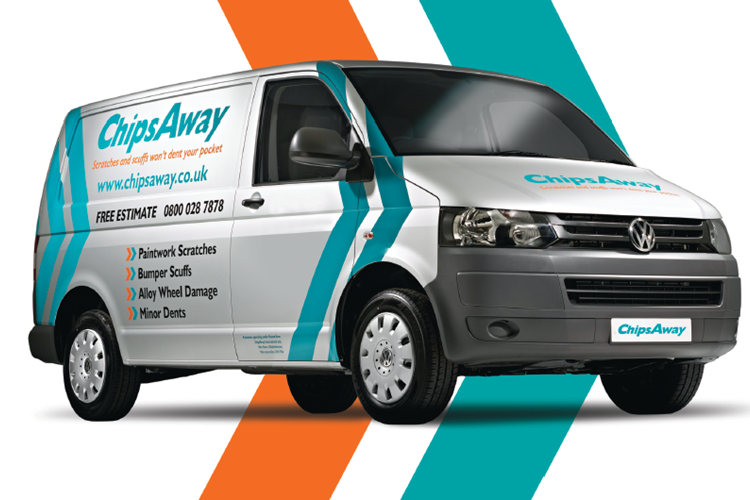 A slight wrong move during a manoeuvre or a simple reversing accident and you can end up with scuffs, scratches and even cracks. The good news is that most modern bumpers are plastic covers, with steel structures hidden further back. This means the damage is usually cheaper and easier to fix than it would be on metal and chrome bumpers. You may be able to repair plastic bumper scuffs and scrapes with a DIY kit at home. But if your bumper is cracked or split, the repair process becomes more complicated as you need to seal the split. It involves sanding, sealing, sculpting and painting, so it’s not a job for DIY novices. 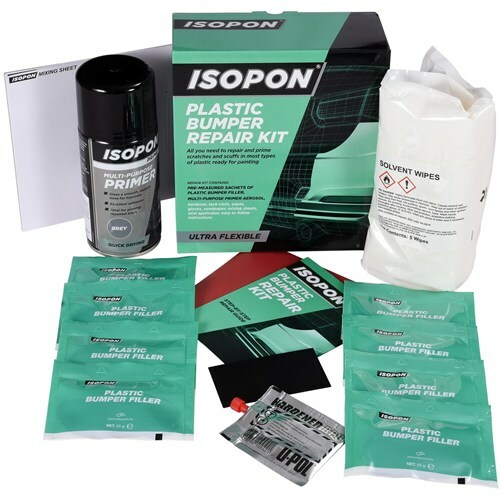 If you are thinking of trying to fix the damage yourself, there are a range of plastic bumper repair kits available. These are a good idea because they contain all the materials you need and will be compatible, rather than trying to purchase products separately. You should also choose a dedicated bumper repair kit which uses a filler that’s meant to be flexible and move with the plastic, preventing future cracks in the bumper. And remember that the kits don’t contain paint and finishes – this needs to be bought separately. Most bumper repair kits are suitable for most types of plastic bumpers. But if you want to double-check, the bumper should have a stamp on the inside telling you what type of plastic it’s made of – then you’ll need to speak to your local car parts shop to find out which product is best for you. If your plastic bumper has scuffs and scratch damage, the repair can be carried out just on the front side of the bumper. However, any cracks or splits should be repaired from the front and back. Make sure you work in a dry place like a garage and take your time with the process – it can be fiddly but rushing it will create a bad finish. First, remove the bumper from the car. 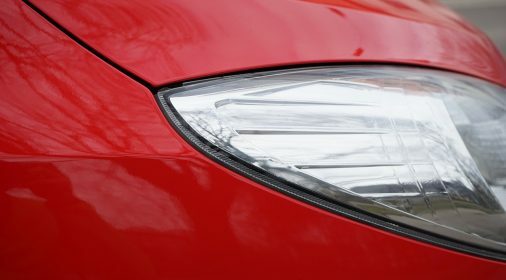 They are usually attached by small screws and you may need to hunt for them – look under the lights, behind wheel wells and around boot and bonnet edges. Thoroughly clean the bumper inside and out. 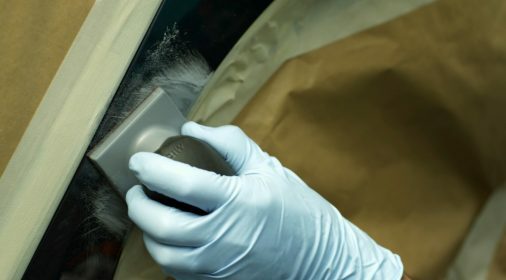 Any dirt or grease will stop the filler bonding properly and ruin the appearance of the repair. 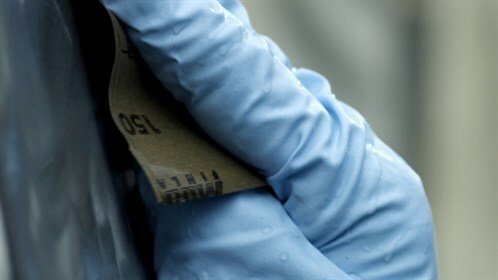 Allow to dry and wipe down with solvent wipes, which are usually included in the kit. Inspect the damaged area closely. If any shards of plastic are sticking up, carefully remove them with a knife or blade. Then sand the area by hand with 80 grit sandpaper to remove raised or sharp edges and leave a somewhat rough finish – this will give the filler something to bond with. Wipe away the dust with a slightly damp cloth. If your bumper is cracked or split, line up the two sides so they sit level and hold in place on the front side with strong masking tape. Now you’ll need to repair the back of cracked bumpers. Some kits contain a solution to help the filler bond to the plastic – apply this first and allow to dry. Then apply a good layer of plastic filler material, spreading it out over and beyond the area needing the repair. Bear in mind that the filler usually starts drying quite quickly, so you will need to work fast here. Next, take the bonding mesh and cut it to size, leaving it to extend one inch past all sides of the damage. Attach the mesh over the damage to pin the two sides of the crack in place. Apply a liberal layer of filler over the mesh to completely cover it. Smooth it out and allow the filler to harden for the time stated on the pack instructions before you start work on the front of the bumper. Remove the masking tape and sand down the damage at the front to make the area a little low and create a rough surface for bonding. Apply bonding liquid if supplied. Apply a liberal amount of repair material to the damaged area so that you make the surface a little higher than surrounding bumper. Use a spreader like a squeegee to carefully smooth out the filler. Make sure to push the filler into any scratches to fill them right to the bottom. Cover with smoothing film if supplied and allow to dry and fully harden. Sand the repair area level, first with 80 grit sandpaper and then with a fine grain sandpaper to smooth it out. If needed, apply another light layer of filler over any gaps or dips to restore the original contours. Once hardened, finish the sanding with wet fine grit sandpaper for a really smooth finish and wipe away any dust. Now your repair is finished, it’s time to prime and paint the bumper. You’ll need proper bumper primer and paint that is flexible enough for plastic, otherwise it may crack and flake. You will also need to apply a clearcoat over the finished paint to keep it in good condition and prevent more damage. Apply at least two coats of each, primer, paint and clearcoat, allowing to dry fully between coats. Note that plastic bumper repair kits don’t come with paint or finishes, but may contain primer. Leave a paint job to dry at least overnight, and then you’re ready to reattach the bumper to the car. 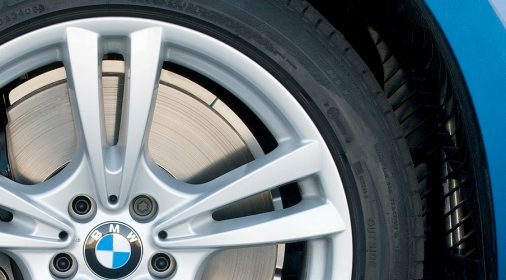 After any paint repair, it’s best to wax the car, preferably professionally to keep the paint in the best condition. Wait at least a week after the repair before waxing. 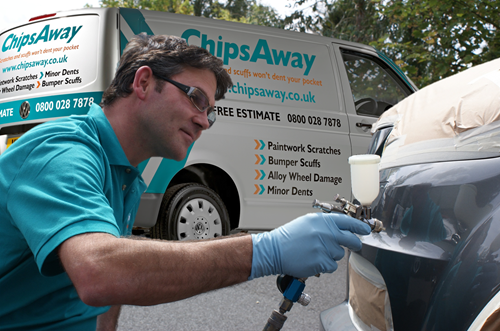 If you’re not comfortable with DIY kits, get professional plastic bumper repairs for scuffs, scrapes and cracks with ChipsAway. We’re the UK’s leading car body repair specialists and our technicians can fix your bumper in just a few hours.